It’s that time of year and the pumpkins are back! This easy pumpkin bundt cake would go down a treat at any Halloween or autumnal themed party and nobody would guess it was gluten free! Preheat the oven to 180C. 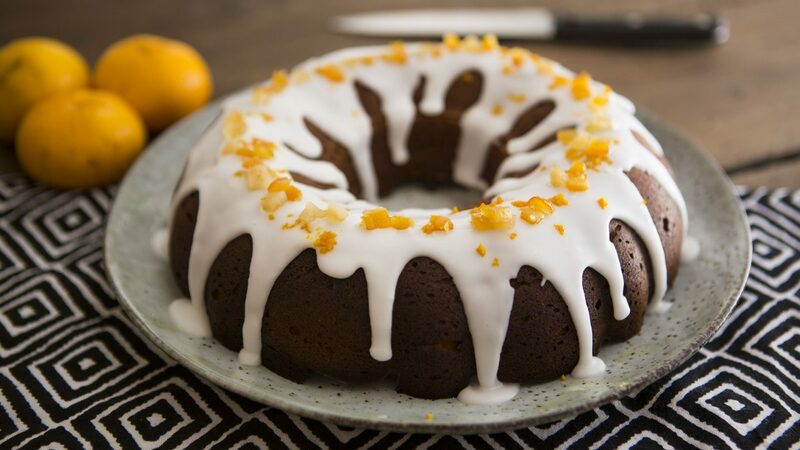 Grease your bundt cake tin thoroughly. Beat together the butter and sugar until light and fluffy, preferably with an electric whisk. Gradually add the eggs, the vanilla extract and natural yoghurt. Once combined, add the flour, ground almonds, baking powder, spices and zest and blend to combine, along with ½ a can of pumpkin puree. Pour your batter into the mould and bake for 30-40 minutes until risen and a when a skewer is poked through the sponge, it comes out clean. Set aside to cool. 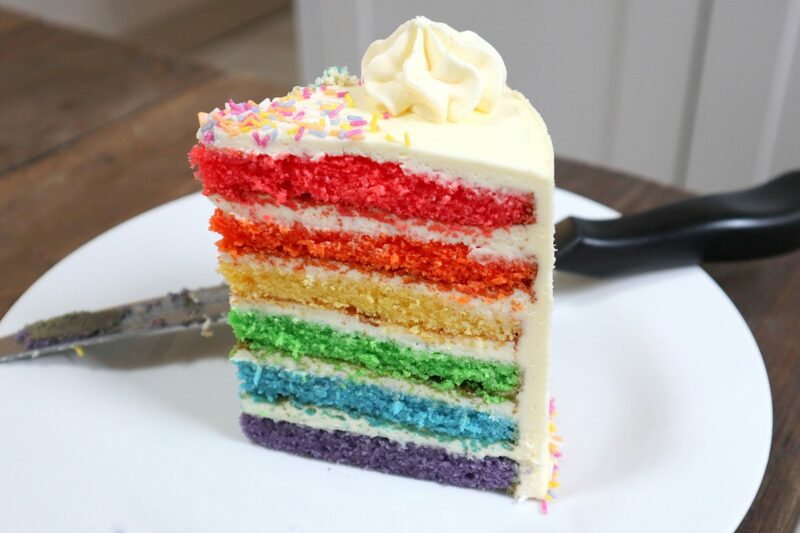 While your cake is cooling, make a thick icing using the icing sugar and water. Add water or icing sugar until you get an icing of a thick consistency. 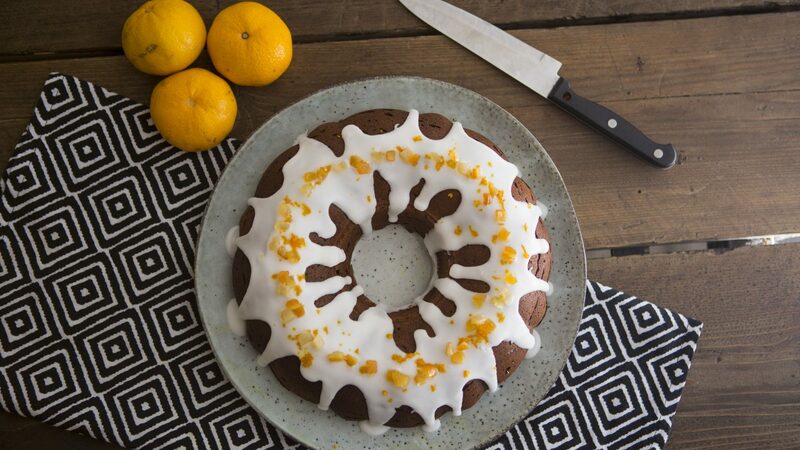 Drizzle this over the cake as you wish and finish with candied fruit and orange peel. 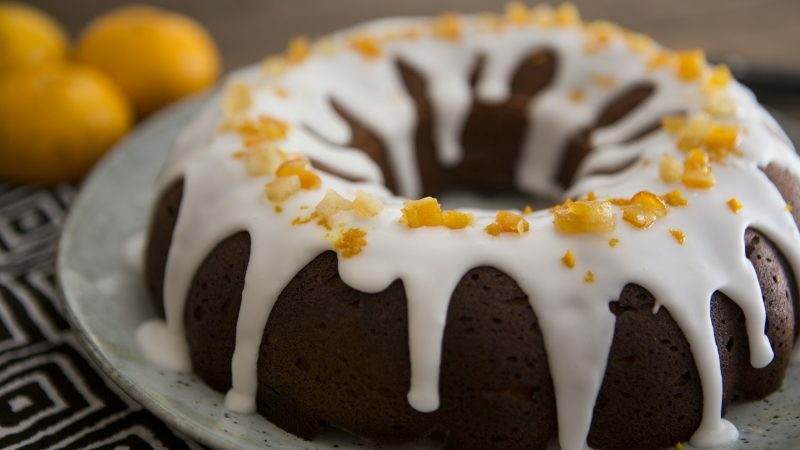 This cake also works great with a cream cheese frosting if you wish to try a slightly different topping, and you can also throw sultanas or currents into the sponge for a little extra depth! When it comes to Halloween, I also love my marshmallow ghost cupcakes and chocolate orange ‘pumpkins’ – see the recipes for both HERE. I hope you have a fantastic Halloween and enjoy the autumn festivities. Let me know which kind of recipes you love this time of year? !